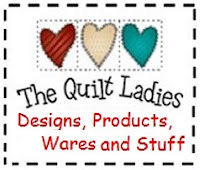 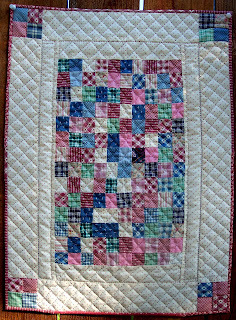 The Quilt Ladies and make 2 quilts in this book. 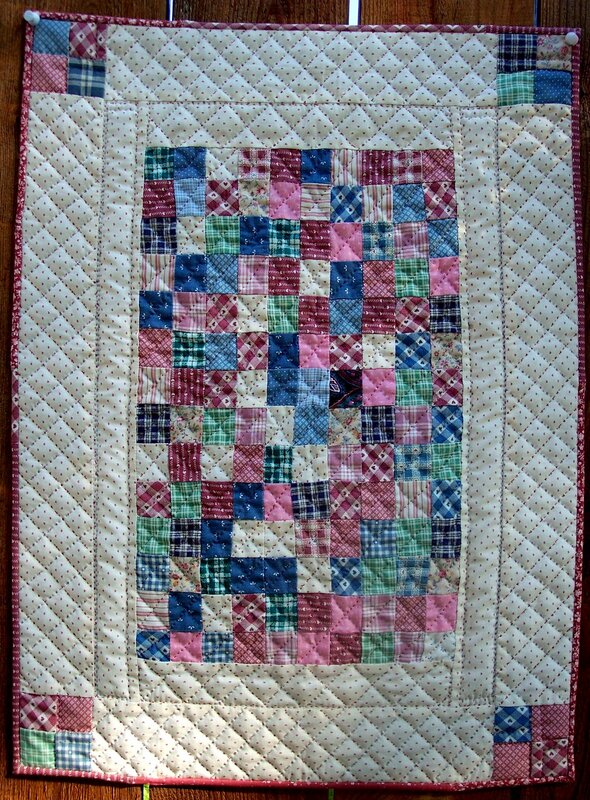 This is a small doll quilt. 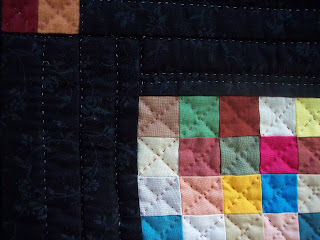 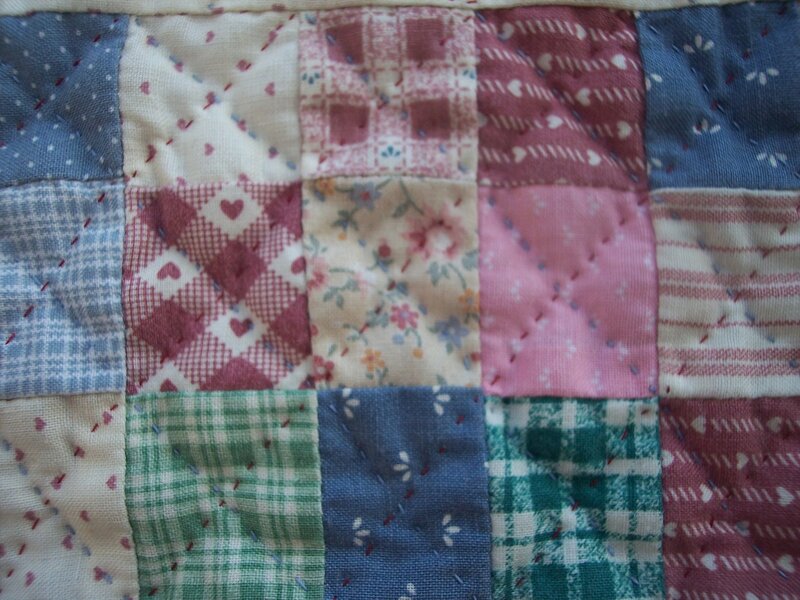 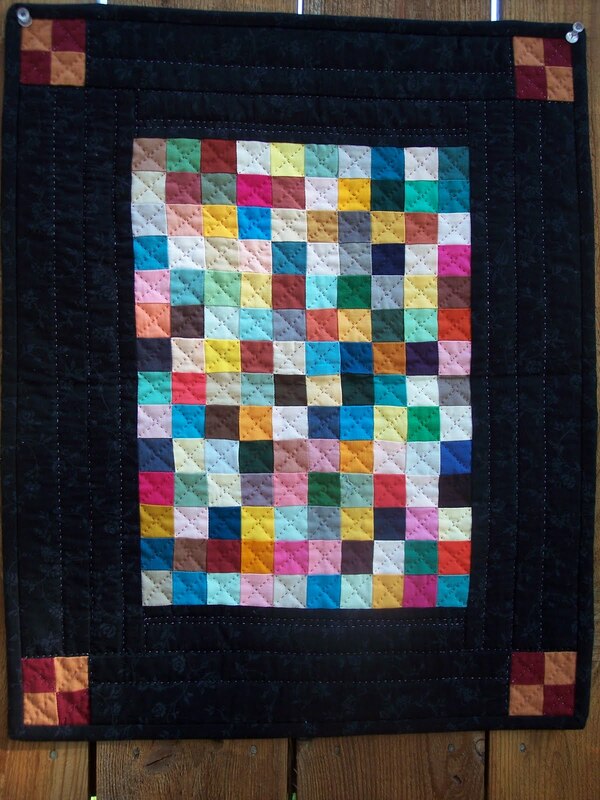 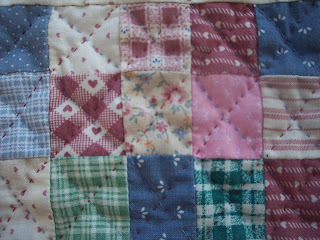 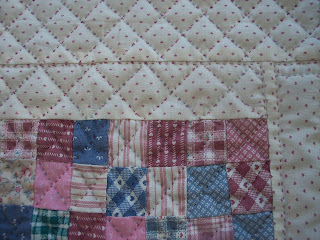 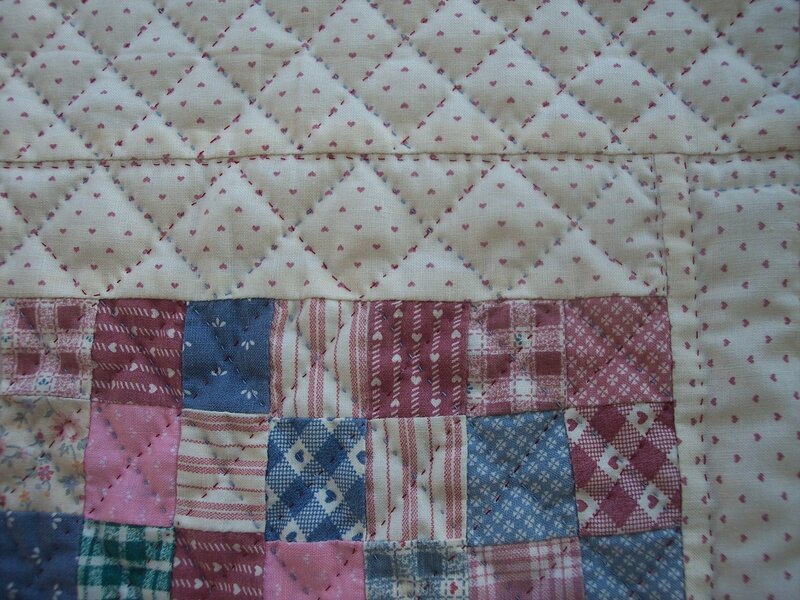 This one is quilted with an assortment of colored threads. 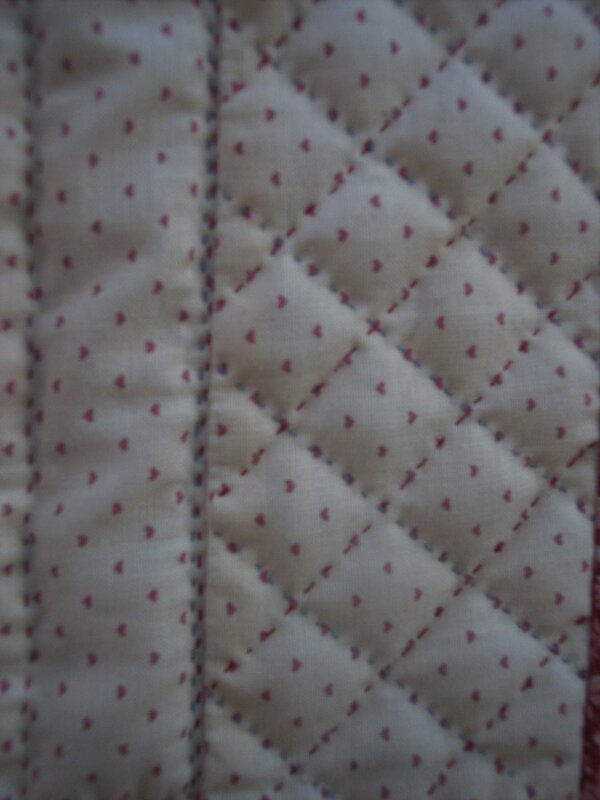 Amazing the difference in the looks with the different backgounds. 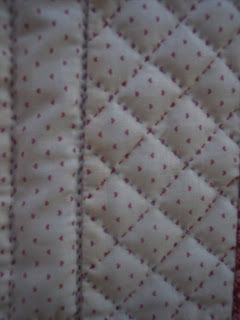 both are lovely!